Esta es una fotografía que representa, de manera sencilla y clara, la España de la despoblación, cuando la gente de los pueblos a finales de la década de 1950 y sobre todo en la posterior 1960 abandona los pueblos para ir a trabajar a las ciudades. 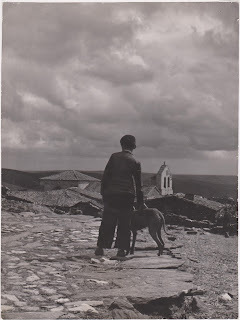 El gesto del muchacho acariciendo al perro, un galgo, que se acerca a él en busca de protección es elocuente, al fondo solo se ven los tejados del pueblo destacando el campanario de la iglesia..
El fotógrafo que figura al dorso en sello impreso es Calderón calle Galileo 14 Madrid. Sobre este fotógrafo no he encontrado dato alguno, ni uno siquiera. This is a photograph that represents, in a simple and clear way, the Spain of the depopulation, when the people of the towns at the end of the 1950s and especially in the late 1960 left the towns to go to work in the cities. 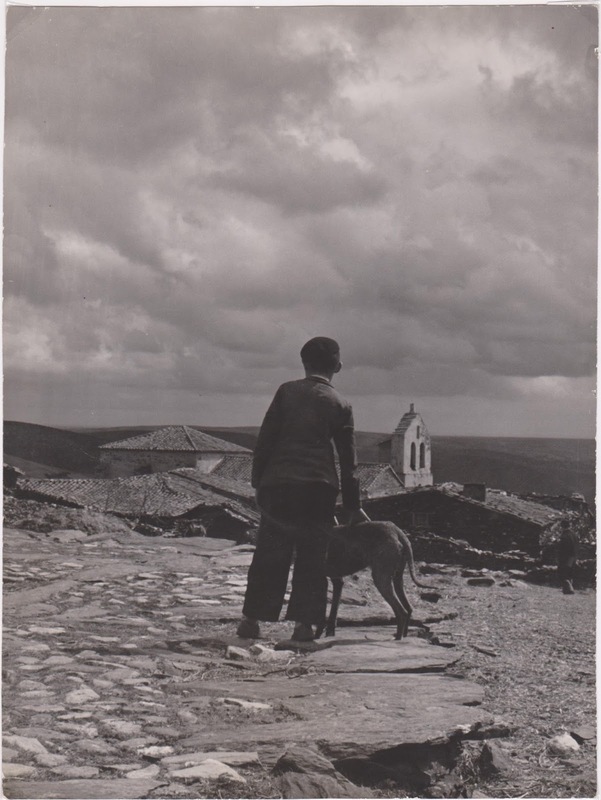 The gesture of the boy stroking the dog, a greyhound, who approaches him in search of protection is eloquent, in the background you can only see the roofs of the village highlighting the bell tower of the church .. The photographer that appears on the back in printed stamp is Calderón calle Galileo 14 Madrid. About this photographer I have not found any data, not even one.